For 100 years Hampton Beach has been focused on providing families with great vacation opportunities, fine service and wonderful memories. The Town of Hampton, which was first known as the Plantation of Winnacunnet, was settled in 1638. A religious group that was led by Reverend Stephen Bachiler helped create the town, which was incorporated in the name of Hampton, England in 1639. Winnacunnet is an Algonquian Abenaki word that means “pleasant pines.” The township once included various towns, such as Seabrook, North Hampton, Hampton Falls and Kingston. 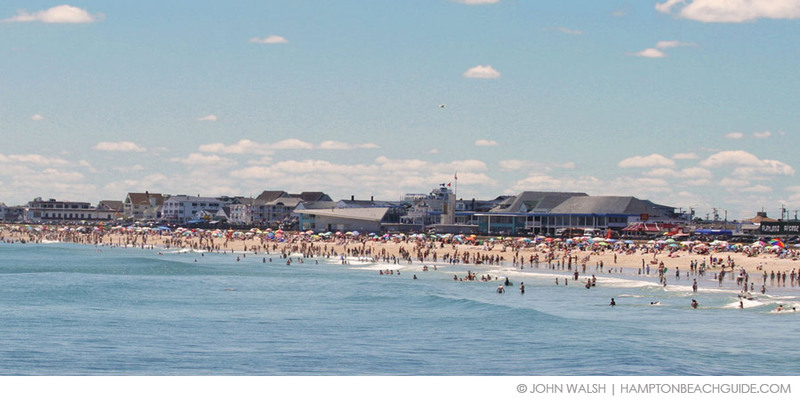 In the 1850’s a trolley line and railroad connection made Hampton Beach a popular resort that included a white, sandy beach; many shops and restaurants and various types of seasonal accommodations. Hampton Beach was still a farming community at this time. Native Americans camped out on the beach at this time. The Hampton Beach Casino was served by the trolley in 1900. In 1907, Hampton Beach started to consider it’s position in the tourist industry and the Hampton Beach Village District was formed on June 26, 1907. This group would start to direct the energies of Hampton Beach as a family friendly destination. In the first half of the century, barnstormers would use the sands of the beach as their runway, “bathing censors” were on the beach stopping people from wearing scandalous swimsuits and trolley service flourished and then disappeared. In the 1920’s a playground for children was created and soon after the Hampton Beach Village District offered free concerts and fireworks. In 1946, the first Miss Hampton Beach was crowned. About 20 years ago Carnival Week, created in the mid-century, was eradicated and became the extremely popular Seafood Festival. Over the past 20 to 30 years, Hampton Beach has created numerous festivals and events that have helped to make it a great place to stay. The Children’s Festival, Master Sand Sculpting Competition and Hampton Beach Talent Show are all fairly recent additions to the Hampton Beach calendar, making it a wonderful vacation stop for kids and adults.